From small gathering for worship in the library at the Algester School in 1977 the Anglican community has grown to become a highly visible part of the local landscape. There was no time wasted in starting various ministries, many of which concentrated on the young people and women of the burgeoning suburb. As early as 1978 there was a vision to have a church building as the focal hub for the worshipping community; a fairly large parcel suitable land was purchased and the community got its name. “Church of the Holy Spirit” was apt as many of the early parishioners were empowered in a manner similar to that at the first Pentecost. The Rectory (a Logan Unit or kit home) was built in 1979 and a service was conducted on the land on 21st October. Not long after the first service the first Baptism was conducted on 4th November. The first Priest-in-Charge was Fr. Lyall Cowell assisted by Fr. Maurice Fox and that too was in 1979. There were three worship centres then; St Albans (Acacia Ridge), Holy Spirit (Algester) and the Park Ridge Progress Hall as the area was declared the Mission District of Algester in 1980 and incorporated a fairly large geographical expanse – all the way to Greenbank. The building, which was modelled after the Chapel of St. Francis, St. Clare and the Blessed Virgin Mary at the then Brookfield Friary, had its foundation stone laid by Archbishop Sir John Grindrod on July 4th, 1981 and he was back to dedicate it on the 18th of October. The first service was held in the building on August 9th. The unique reredos or tapestry that still hangs in the church was installed ready for the dedication. The building was fully paid for and able to be consecrated on 29th May 1993 by Archbishop Peter Hollingworth. Other significant undertakings in terms of buildings were the St. Albans Church at Acacia Ridge was decommissioned and moved to Algester in 1980 where it still serves as a parish hall. 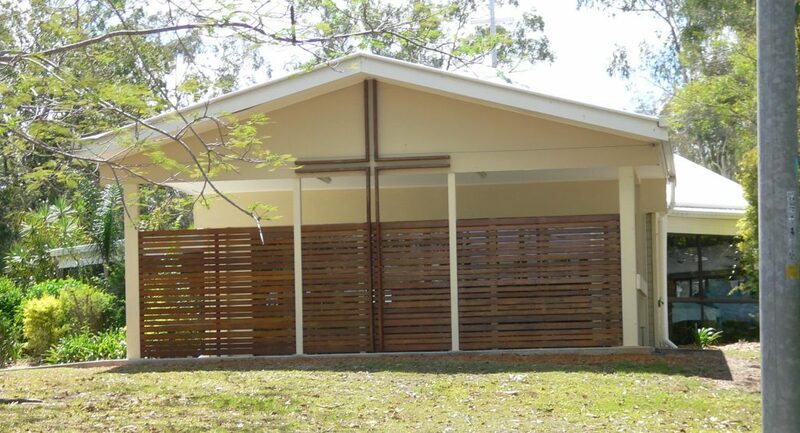 The disused and decommissioned OPD (Other Protestant Denominations) Army Chapel at Wacol was transported in three sections to its present location Green Rd, Park Ridge as Church of the Good Shepherd in 1990. In 1995 Browns Plains/Park Ridge became its own parish.